Donate to empower a homeless child. Make a gift to Nicholas House today to help homeless children and their families become self-sufficient. Your gift will help to support a homeless child and their parents at Nicholas House with resources including their housing, food, clothing, case management, youth services, classroom and school supplies, and more. Your donation makes a meaningful impact for homeless children and parents in need. 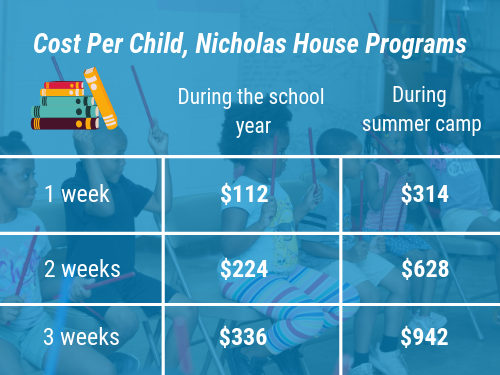 Want to know more about the impact of Nicholas House’s youth services program? Have another idea of how you’d like to help? Thanks to friends like you, last year 96% of families served by Nicholas House graduated into their own permanent housing. 90% of them stayed in their own housing a year or more after graduation. Tours are held every third Saturday of each month from 10:30 - 11:30 a.m.
See this powerful program in action. Learn how you can support our families. 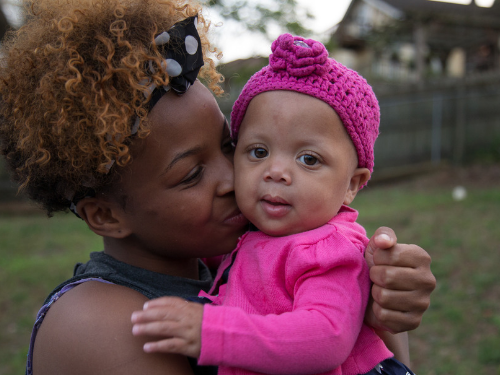 A brain tumor nearly tore Temica’s family apart– and left she and her children homeless. 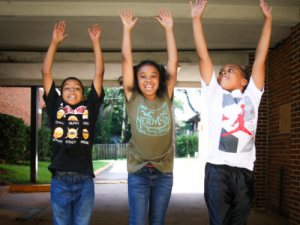 Nicholas House is an Atlanta shelter that takes in homeless families regardless of composition. We believe that in the midst of a trauma as big as homelessness, no family should be separated.